Updates for Keynote, Pages, and Numbers are available in the Mac App Store. Office for Mac isn’t doing so hot on El Capitan, it seems. (I personally haven’t had many problems, but I personally don’t use Office that much, so your mileage may vary.) 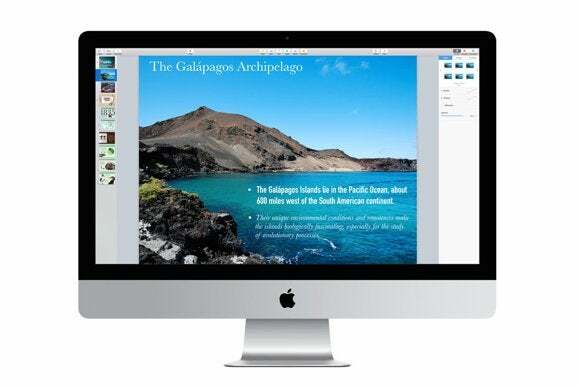 Luckily, Apple pushed out updates for all three of its iWork applications for the Mac on Thursday. What excellent timing! Pages 5.6 supports El Capitan’s new Split View feature. It can open documents from both Pages ’08 and ’06 (which doesn’t seem like a feature to crow about, to be honest, but this was a big problem up until now). 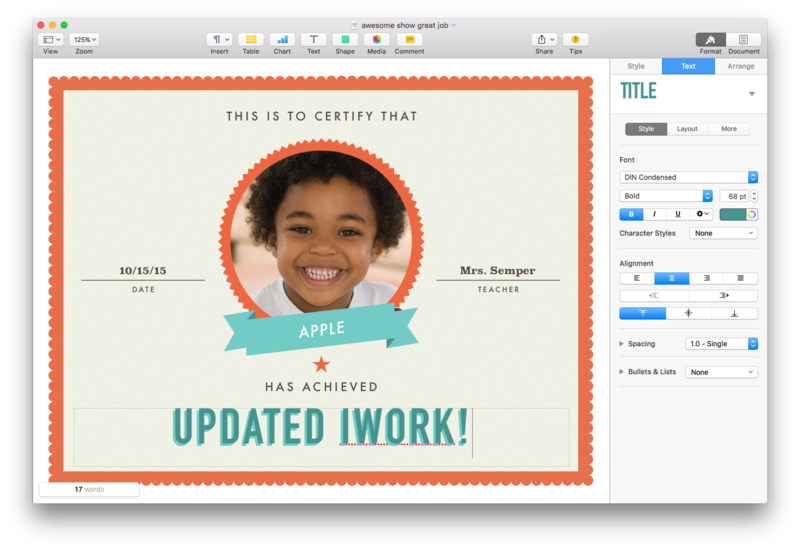 The Kids Certificate template in Pages, because not everyone gets a trophy. Force-clicking images with a Force Touch trackpad will result in haptic feedback while you’re editing. The font menu has a handy Recently Used section. The Media Browser supports the album structure in Photos, including collections, moments, favorites, and shared albums. There are even some new Apple-designed templates, including ePub, Kids Certificate, Classic Certificate, and School Newsletter. The Mac App Store has the full list of additions to Pages, which costs $19.99. Numbers 3.6 can open spreadsheets created by Numbers ’08. It also supports Split View in El Capitan, and force-clicking images with the Force Touch trackpad. More AppleScript options are included for exporting files to PDF and Excel format, and Apple says the Excel export is improved, as is the compatibility for Excel charts, text overflows, and non-rectangular masks. 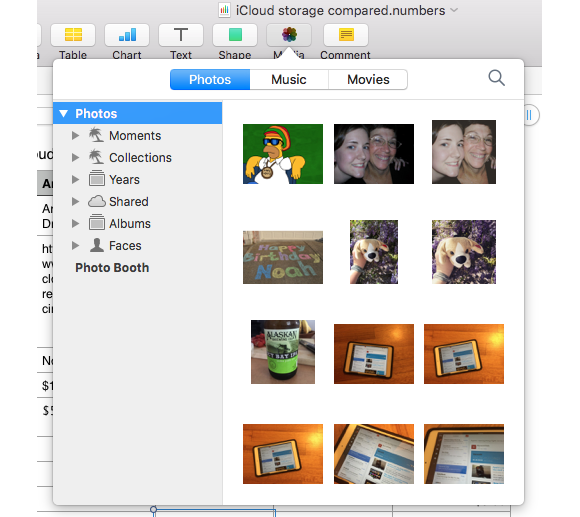 Every iWork app, including Numbers, supports the new album types in Photos for Mac. Check the Mac App Store for everything new in Numbers 3.6, which is also $19.99. Apple’s answer to PowerPoint, Keynote 6.6 has a new build animation called Line Draw as well as new themes called Modern Type, Exhibition, and Drafting. Apple says it’s improved the PowerPoint export, as well as compatibility for PowerPoint charts, text overflows, non-rectangular masks, animation mapping, and theme import/export. Keynote gets three new themes: Modern Type, Exhibition, and Drafting. Many of the additions mentioned above apply to Keynote too, like support for the Force Touch trackpad, easy access to recently used fonts, the overhauled Media Browser, and support for Split View in El Capitan. Keynote 6.6 can open files from Keynote ’08 and ’06. 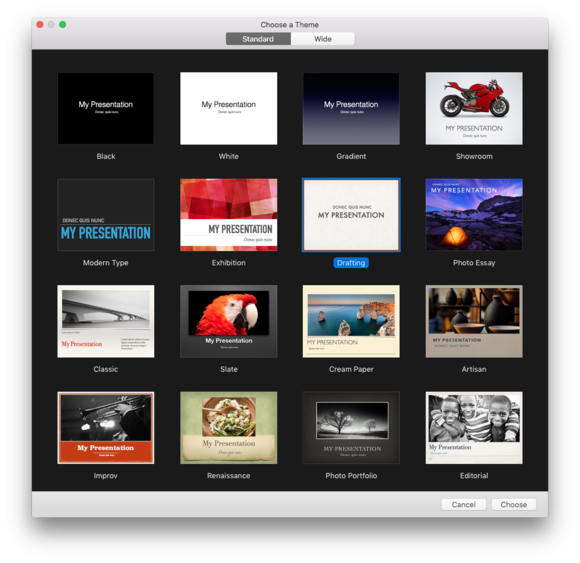 The full list of Keynote’s new features is on the Mac App Store, and the app costs $19.99.